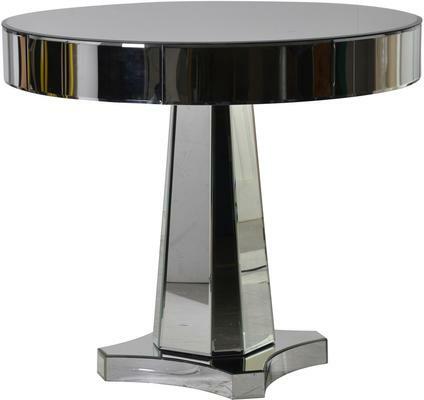 Stylish and quite striking, this Round Mirrored Side Table is meant to adorn modern and contemporary spaces. It's beautifully crafted using a combination of clear mirrored glass and MDF. The latter is an excellent material that's often used together with mirrored glass because of its compatibility with the material. 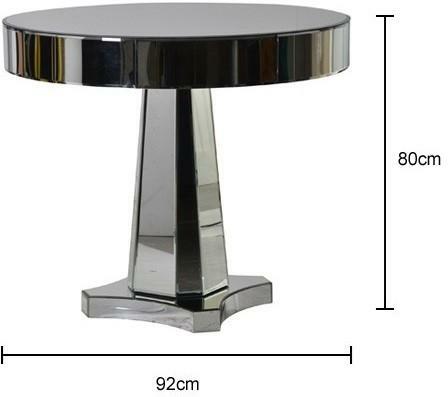 The top portion is circular in design while the bottom part is supported by an inverted cone-shaped pedestal. Echoing symmetry and gorgeous elegance, you'll love how this piece easily complements your existing home decor and furniture.